Description:- From Amazon – It’s wheels to the rails for young trainees, Wilson, Koko and Brewster as they prepare for life on the tracks. There’s a lot to learn from Chuggington’s Traintastic Crew including Chuggers; Hodge, Old Puffer Pete and practical joker Emery. Choo Choo! There’s plenty of fun and adventure in store as the trainees prepare a dance routine to celebrate Puffer Pete’s 150th anniversary and attend Olwin’s outward-bound training course. Meanwhile, around the depot, Hodge’s attempt to work unsupervised causes chaos on the tracks and a TV documentary finds Emery launching a bid for stardom! Review:- As Chuggington Ambassadors we were lucky enough to receive a copy of the latest Chuggington DVD, Traintastic Crew. Both my boys are huge Chugginton fans so they were instantly excited about watching it. There were lots of great episodes on the DVD and we got to see some Action Chugger, who is by far my boys favourite. What’s not to like about a flying train. Our favourite was the chuggers learning the dance routine for Old Puffer Pete’s 150th anniversary. One of my favourites is when Eddie gets a new home. I love how the all work together. 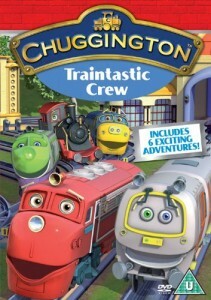 This Chuggington DVD didn’t disappoint, it’s great fun to watch and lots for the little ones the learn. I would highly recommend this DVD to anyone with pre-schoolers and other young children. 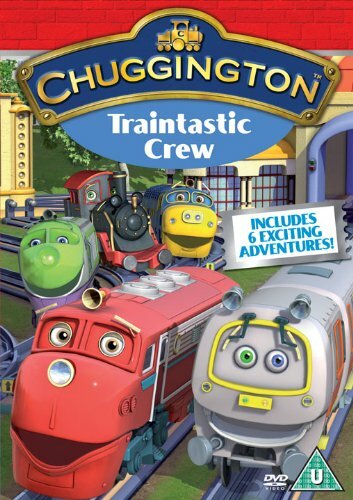 Disclaimer:- I was sent a copy of these DVD through to review as a Chuggington Ambassador. The opinions I gave are my own.